The 30th Cork French Film Festival has unveiled its stacked line-up featuring 20 films which together earned 40 nominations at the Cesar Awards – the French equivalent to the Oscars. Taking place between March 3 – 10, opening the festival is Sink or Swim, which earned 10 Cesar nominations – including best film and best director. Acclaimed French stars Guillaume Canet (The Beach), Jean-Hugues Anglade (Braquo), Mathieu Amalric (Quantum of Solace), Philippe Katerine (The World is Yours) and Virginie Efira (Elle), act in Tell No One star Gilles Lellouche’s first solo directing gig. Based on a true story, the tender comedy focuses on an unemployed family man in a midlife crisis (Amalric) who joins an amateur male synchronised swimming team. There he bonds with the other swimmers as they tackle their demons by committing to the most unlikely of public acts. There will also be some special guests. French DJ Jean du Voyage will be in Cork for one night only to play at the festival’s opening night gala at the St Peter’s venue. Meanwhile, Emmanuel Finkiel, director of thriller Memoir of War, will take part in a Q&A after a screening of his latest movie. Based on an autobiographical work from acclaimed writer Marguerite Duras, Memoir of War is set in Nazi-occupied France. There, a female Resistance member (Mélanie Thierry) befriends a French collaborator (Benoît Magimel) for information on her missing husband and fellow activist’s whereabouts. Other noteworthy films to screen include love triangle murder mystery A Faithful Man – directed by and starring Louis Garrel; An Impossible Love – chronicling a toxic love affair over many years; environmental documentary The Time of the Forests ; and timely workplace drama At War. The festival will close with a 4K restoration of classic 1990 film Cyrano de Bergerac. Legendary French actor Gerard Depardieu stars as the titular Parisian poet and swashbuckler. 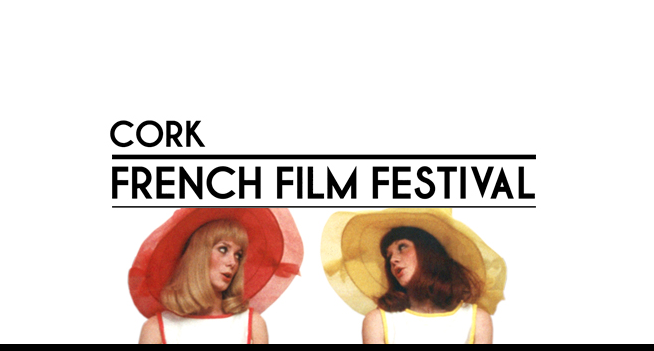 For more details about the Cork French Film Festival, visit its site here.